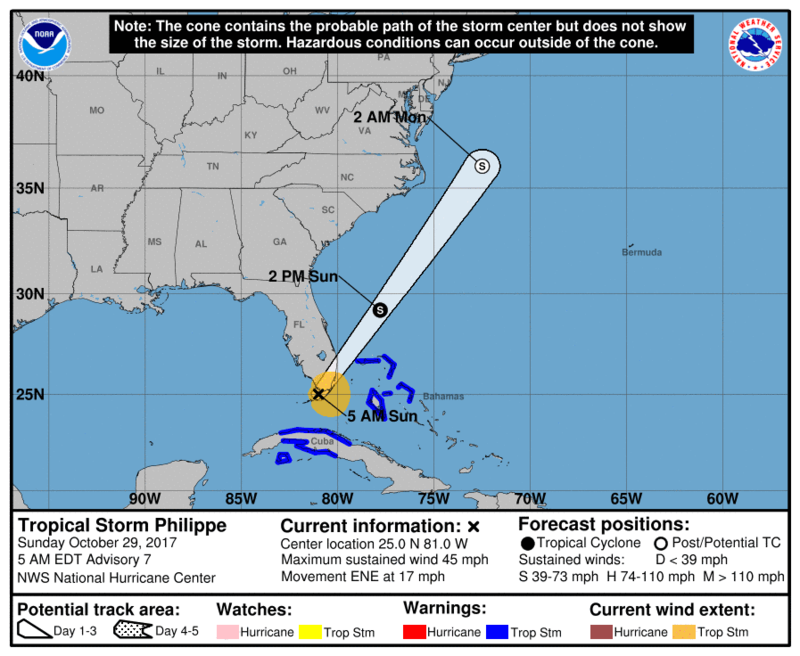 NOAA's National Hurricane Center issued a Public Advisory due to Tropical Storm Philippe that is located over the Florida Keys. As of 5 a.m. Eastern Daylight Time on Sunday, October 29, 2017, Tropical Storm Philippe has maximum sustained winds of 45 mph (75 km/h), with higher gusts. Philippe is currently a tropical storm on the Saffir-Simpson Hurricane Wind Scale. NHC forecasters say that some strengthening is expected during the next 48 hours. Tropical-storm-force winds extend outward up to 105 miles (165 km) from the center of the tropical cyclone. Computer models are in general agreement that Tropical Storm Philippe's projected path will move in a northeastward direction over South Florida and the northwestern Bahamas. Tropical Storm Philippe is located 75 miles southwest of Miami, Florida, and is moving to the east-northeast at 17 mph (28 km/h). 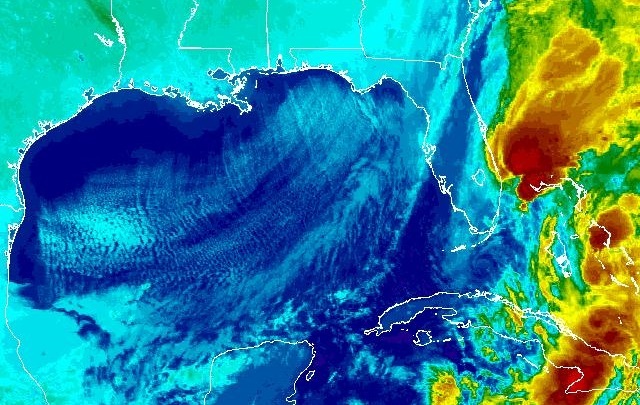 NHC forecasters say that a turn toward the northeast is expected during the next few hours, and a rapid motion toward the northeast is expected through Monday. NOAA’s Climate Prediction Center forecasts that the 2017 Atlantic hurricane season, which runs from June 1 through November 30, could be the busiest in seven years.